Okunomichi: We have just come across an essay by Yamaori Tetsuo, a distingished scholar of religious studies. Written originally in Japanese, its clear English translation evokes in the Western reader a better understanding of what it is to be Japanese. We offer a few paragraphs and suggest that the full essay be read at http://www.nippon.com/en/in-depth/a02903/. 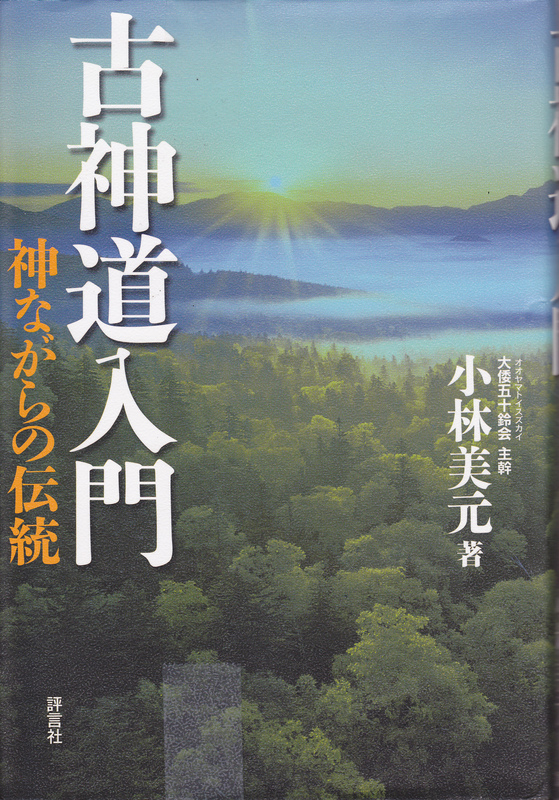 Keywords: Environment, worldview, religion, mythology, Shinto, kami, society. This entry was posted in Kami, Kojiki, Koshinto, Mountains, Nature, Worldview on 2016/04/21 by Okunomichi. Editor’s Note: These renditions are from Koshinto Gyoho Nyumon by Omiya pp 132-139. Amatsu means divine or holy. 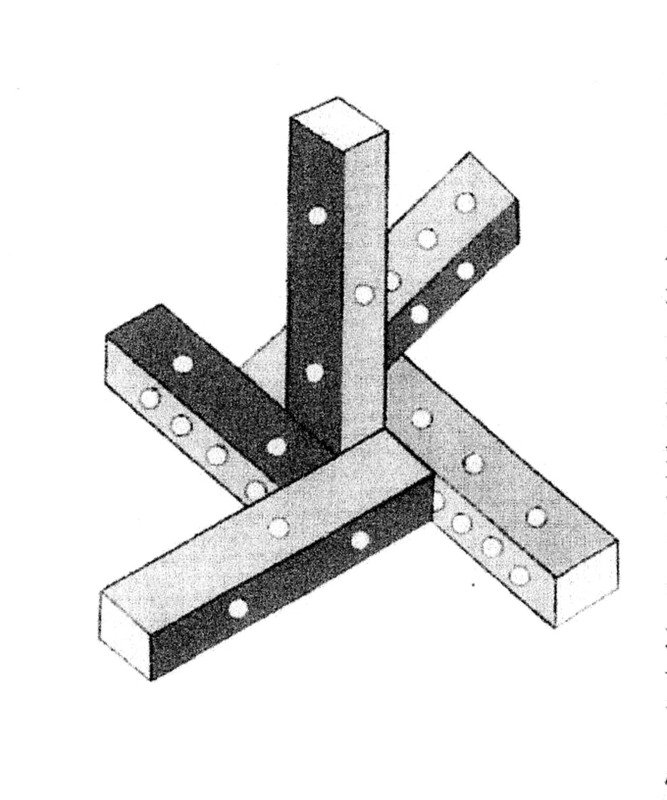 Kanagi means a thin timber. Some say that Amatsu Kanagi was used for purification ceremonies. They say that people removed evil through the ceremony by putting those timbers together to make something like a desk and then putting small timbers, collected from sinners as atonements, onto the Amatsu Kanagi. There were many inferences about Amatsu Kanagi’s real identity, but no on had known about it until Oishigori Masumi revealed it. According to Oishigori, Amatsu Kanagi is the epitome of macrocosms, or one small microcosm. It also reflects acts of gods and goddesses so that it conceals the whole secret of the universe. Thus, by operating Amatsu Kanagi that is combined in two or three dimensions based on the set of rules, you can not only understand Kojiki, A Record of Ancient Matters, and the genesis and true identity of the universe, but also witness the past, present, and future of the universe. 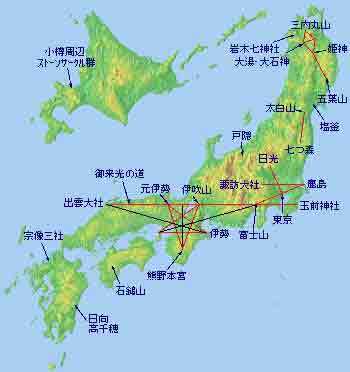 For example, when Izanagi no mikoto and Izanami no mikoto generated the lands of Japan by stirring the sea with Amatsu Kanagi, the Amatsu Kanagi was shaped with one erect Amatsu Kanagi timber and four other timbers surrounding it along the side. In the course of looking at the combined amatsu Kanagi, you gradually come to understand the various intentions that the shape of Amatsu Kanagi shows. Furthermore, as your contemplative power increases through training, you will eventually feel the strong power of the whirl generated by Amatsu Kanagi and you will face the scene of the primorial universe. What is Ama no Nuboko? Incidentally, the origin of Amatsu Kanagi is traced back to Ama no Nuboko, which was bestowed on the kami Izanagi and Izanami from Amatsu Kami, a heavenly kami. 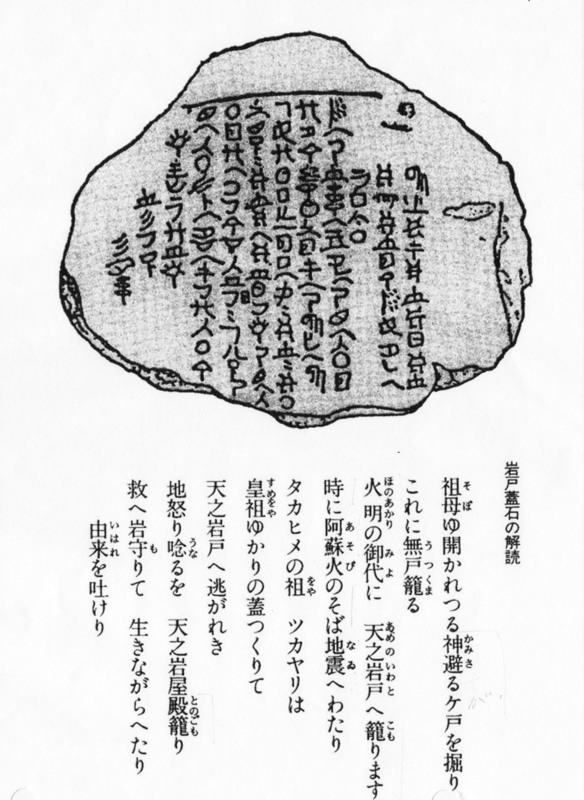 Kojiki tells that Ama no Nuboko is a sacred treasure to generate the universe and is also an epitome of the universe. Shin no Mihashira, a sacred wooden column privately stored in the Grand Shrine of Ise in Mie prefecture, is said to have been modeled after Ama no Nuboko. Amatsu Kanagi, the creator of the universe as well as a representation of the universe itself, is a spiriual and structural existence. In its spiritual aspect, it is called Mitamashiro while physically it is called Mihishiro. Amatsu Kanagi includes all representations of the soul and body of macrocosms. Thus, Kanagi is a symbol of Shikon, four souls, and Shitai, four bodies. 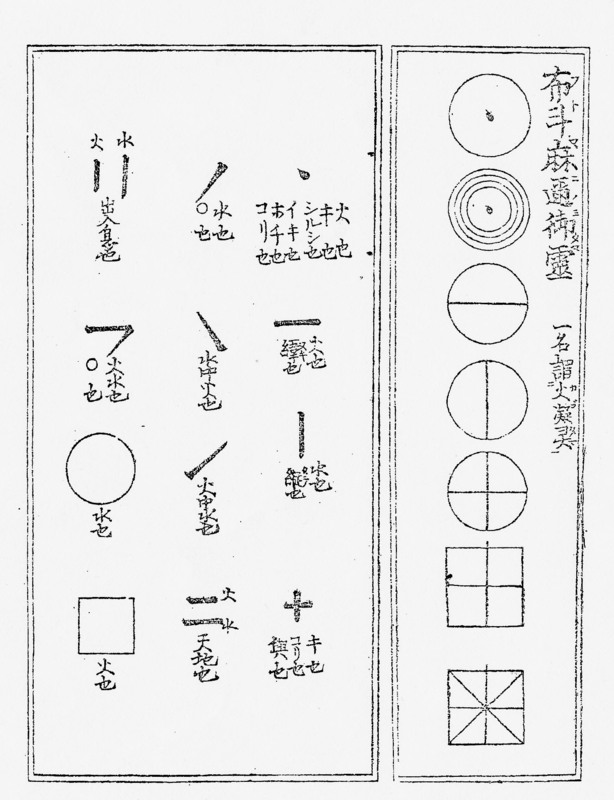 Shikon consists of Kushimitama, Aramitama, Nigimitama and Nurumitama. Kushimitama is an enigmatic soul. It is soul in the state of super consciousness, having divine power, and being able to create mystical events. Aramitama is a soul in a usual state of consciousness and is also called animalistic soul. Nigimitama is a soul in the state of half consciousness, called a vegetative soul. Nurumitama is a sleeping soul in the state of unconsciousness, called a mineral soul. The Shikon and Shitai that reside in Amatsu Kanagi come from the universe and at the same time are organically linked to all things in the universe. Shitai includes Seitai (something super physical such as radium, electricity, light and heat), Kitai (gas), Ekitai (liquid) and Kotai (solid). Hence, when you fit Amatsu Kanagi timbers together in two or three dimensions based on the set of rules, you can find everything such as the genesis and the evolutionary process of the universe as well as all things in the universe. By operating the sacred treasure, Amatsu Kanagi will allow you to relive the genesis of the universe made by the kami who created us. As Oishigori Masumi forecasted, Western civilization has come to a dead end and is now being tossed about by the waves of big changes. Oishigori left us the secret of Amatsu Kanagi to break through this difficult time, and this would work as a bridge to go from the current material world across to the spiritual civilization. This entry was posted in Koshinto and tagged Amano Nuboko, Amatsu Kanagi, Oishigori Masumi, Omiya Shirou on 2013/08/16 by Okunomichi. Among the religious practices of Archaic Shinto, there are several exercises which have produced such wonderful divine practices [as described in the preceding paragraphs]. These religious practices went along the Silk Road, and those continuing into the directions of India and Tibet developed into the teaching called “yoga.” Yoga places more emphasis on breathing techniques than on speaking, and through manipulating the flow of the breath or the automatic nerves, the seven chakras are opened, but its source was based on such traditions as Archaic Shinto’s method of chinkon. Kobayashi Bigen, 1998, 227f, quoted in Chinkon Kishin: Mediated Spirit Possession in Japanese New Religions, by Birgit Staemmler on p 130. This entry was posted in Koshinto and tagged chinkon, Kobayashi Bigen on 2013/05/18 by Okunomichi. In Honoakari’s time we were hiding in the iwato from an earthquake near Aso. We escaped the earthquake. There was mad shaking and scary noise. The lord hid there too. The sacred stone protected, and we survived. I am telling you how this came about. This entry was posted in Ancient civilization, Koshinto, Moji and tagged Iwato, petrograph on 2013/05/13 by Okunomichi. This brief, or beginning, glossary is intended to assist the reader in getting started in the study of esoteric Koshinto. Koshinto or old Shinto is the link to the religion we call Shinto today. Our aim, however, is to uncover and understand the origins of the religion when it was still a spiritual practice. 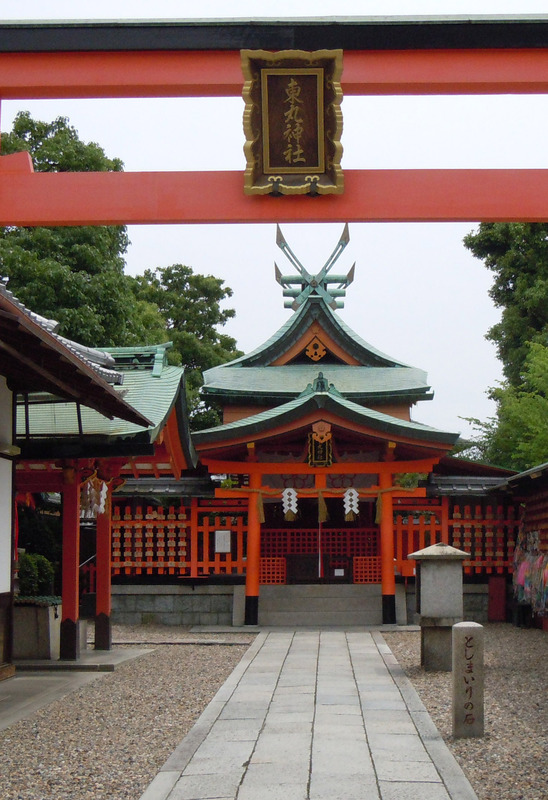 The earliest shrines were the himorogi and iwasaka. Himorogi represent the Sacred Tree of Life. Himorogi 神 籬 , ひもろぎ refers to a tree (or grove of trees) that captures the sun’s energy. A verable himorogi tree is marked with a shimenawa, straw rope indicating a sacred object. “Hi” of course is the sun, “gi/ki” is tree. Kami were present in the sacred enclosures called iwasaka 岩 境 , いわさか, the interior of a boundary (“saka”) of stones, “iwa.” Iwasaka stone groupings are the prototype of the Shinto shrine, and they became the inspiration of the Japanese landscape garden which Westerners call the Zen garden. I must caution the reader not to place undue emphasis on the kanji for the different terms. Remember, the spoken words were written in ancient scripts before the introduction of Chinese characters, so that the same ancient word can be written in different kanji. 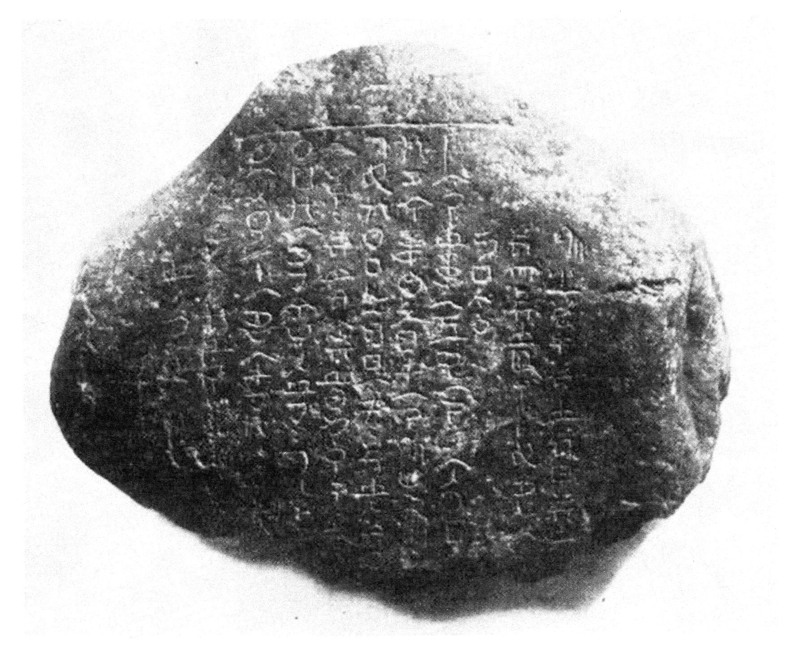 Further, ancient language was kototama, having powerful energies. Moreover, the same word could have many meanings, many layers of meanings. Take “hi” for example. It is the word for sun, day, and fire. “Hi” is also one as in hitotsu, and in the Hi Fu Mi kototama, the sacred sounds of the numbers one through ten, hundred, thousand, myriad, and so on. 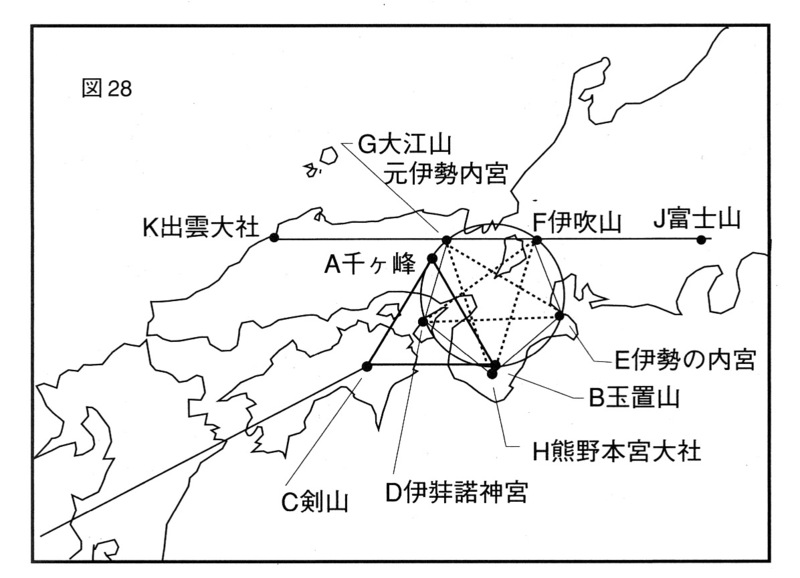 Kototama is an esoteric system of Japanese semantics. Perhaps I should say “the” rather than “an.” This word-soul doctrine has adepts who claim that it lays hold of all-compelling truth of the universe. 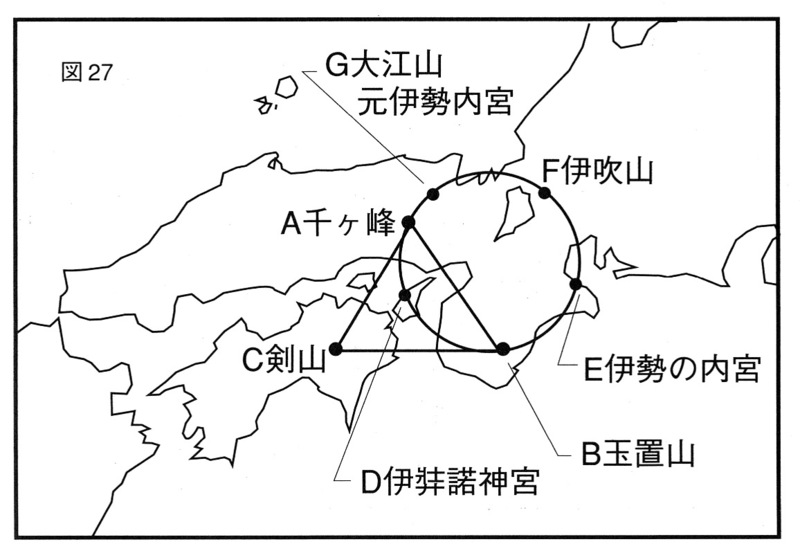 The sounds of kototama are often written in kana, i.e., katakana or hiragana, the syllabic alphabet. The kanji above are “word” “spirit.” The power of the word, 言 こと, can result in manifestation of the thing or deed, 事 こと. Sometimes the spelling is given as “kotodama.” Westerners are familiar with the spelling, kototama, through the books of Western students of the aikido master, Morihei Ueshiba. See, for example, W. Gleason, Aikido and Words of Power: The Sacred Sounds of Kototama. “Tama” can be spirit/soul, 霊 たま, or jewel, 玉 たま. 霊 is also read れい, “rei,” spirit. We shall in general keep the word “kami” untranslated, although it has the meaning of deity or spirit. Deeper meaning should become clearer from the context and the philosophical worldview from whence the term arose. “Kami” has multiple meanings, at first glance unrelated; upon further thought they may be connected. Kami then represents the joining of fire and water, male and female, heaven and earth, time and space. The verticality of time meets the horizontality of space in the NAKA-IMA, the Middle-Now, the Eternal Now. Kami are the productive pulsing power of Tai-ichi or Taikyoku (in Japanese), whose logo is the yin-yang symbol of curved dark region with white dot and a curved white region with dark dot. Alternatingly, the white dot in the dark enlarges into a large white region with a dark dot, while the large white region shrinks into a dot in a large dark region. Thus the polar opposites pulse and cycle endlessly. The Japanese religion now called Shinto is perhaps more properly described as Kami no Michi, the Way of the Kami. Of course, in ancient days, the spiritual tradition of the people did not require a name; they all knew what it was. The term Shinto was introduced to distinguish that religion from the other major religion of Buddhism. However, in these pages, we are interested in the esoteric tradition of this Way as a spiritual path to Great Truth and Wisdom. MICHI. Further, Fujisawa points out that “michi” means sacred blood (みmi ちchi) that centrifugally springs from the heart of Kami and centripetally returns to it, perpectually circulating. 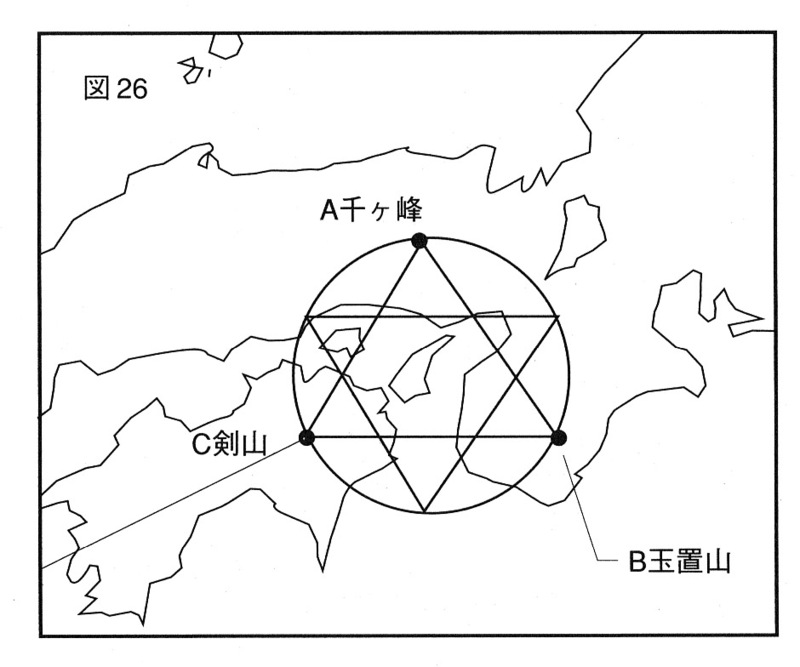 Here, we see indications of Kami no Michi as the Tree of Life. The Japanese scholar of religion Sonoda Minoru has described Shinto as “the ritual means by which early Japanese transformed their natural surroundings into a cultural landscape infused with religious and historical meaning” (Sonoda 2000). Jinja is a word translated as “shrine.” The places where matsuri are performed for the kami are the sanctuaries known as jinja or kami no yashiro, says Sonoda. Yashiro is a residence or a palace. The shrine buildings that we see today have evolved from himorogi and iwasaka. Musubi is generative energy from the sun. Related words are umusu, begetting; musu, to fecundate/brew/steam; bi, Hi, the sun, fire, light, life, soul, deity. Musubi has forward exhaling motion and backward inhaling motion. Musubi also means binding or connecting things for a new life, i.e., generative binding. Thus, through the harmonious collaboration of the Musubi Kami (see below) all things can generate, grow and ripen. Musubi in this sense is considered a cosmic principle. Thirdly, musubi means completion or conclusion. High Productive Kami. This kami is the forward movement. See also Koto Amatsu Kami. Takagi no Kami is an alternate name, meaning high tree deity, growing life and the Tree of Life, the life cycle from seed to seed. Divine Productive Kami. This kami is the backward movement. Sonoda, Minoru, 2006, Symbolism of Spiritual Life in Shinto Tradition, in Symbolic Languages in shinto Tradition, Shinto Kokusai Gakkai, Tokyo. This entry was posted in Koshinto, Kototama and tagged Glossary, Koshinto, Kototama on 2013/05/03 by Okunomichi.